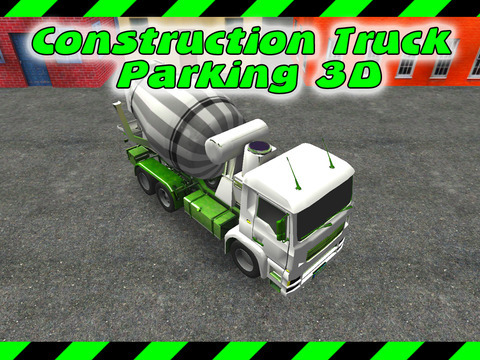 Construction Truck License is a 3D driving and parking game, small in size yet colorful and challenging. 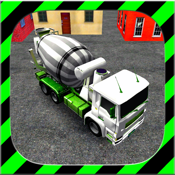 Throughout 18 increasingly difficult levels, you get to drive Concrete Mixer truck and your objective is to reach the end of test track without touching any cones, then park inside boundaries of the marked parking spot. You can use four different cam angles, which you can switch with tap on the button, it should help you with rough turns and tricky parts. Game starts out easy to ease you in into controls and as you proceed to each next level, difficulty increases. 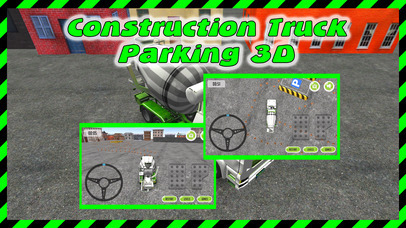 To play, use pedals to drive and steering wheel to control the truck. You have unlimited time to complete each level, tho less time means more score. You can easily replay any level to get better results at any time. Follow us on Facebook and Google+ and download new interesting games every week (racing, parking, simulation, etc).